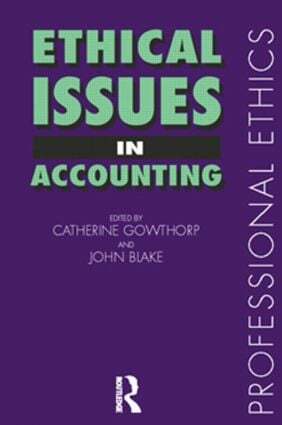 Ethical Issues in Accounting offers a comprehensive and accessible introduction for students and teachers of business studies and accountancy as well as the practicing accountant. * various aspects of social accounting, including environmental accounting. The fitness of the accounting profession as guardians of accounting and auditing ethics is also discussed in detail.